Nov 11: We picked up our final medical clearances from our doctors as required by the Colombian adoption agency. 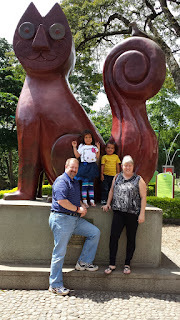 We also purchased our round-trip tickets to Colombia and the children's one-way tickets back to the US. Nov 12: Lori traveled to the Secretary of State's office in Baton Rouge to have the medical reports "apostilled" which all notarized documents are required to have. Normally we would mail these but the time sensitive nature of our trip required this extra step. 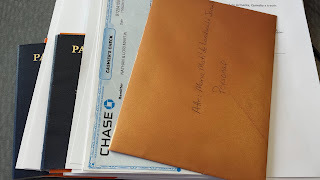 Nov 14: Paid our final fee to Caroline Adoption Services. Also booked a hotel room in Bogota for our overnight stay before flying into our final destination of Armenia, Colombia. Nov 15: Started with a bang! Got a phone call from Colombia that the electronic system used to approve visas had been down for more than 24 hours and that if it wasn't back up within an hour we would have to go to "Plan B" (which had never been tested before!) I was just stepping in to lead my weekly chapel service at Grace Christian School so I went in and asked the 200 children to pray with me for a miracle. We prayed and then had our time of worship. When worship was finished, I pulled my cellphone out to access my Bible and saw I had an email from the Colombian Consulate with our visa approval!!! I told the children they had just been part of a miracle!!! Later that day we also received an email telling us of the the preparations being done with the children for our arrival and that they are very eager to meet their parents! Nov 16: The Colombian Consulate had not checked "Saturday Delivery" on the FedEx envelope containing our passports, leading to mass anxiety! Our passports arrived in Alexandria Saturday morning but were not scheduled to be delivered until Monday morning! After multiple calls to FedEx, Lori was allowed to drive to the local FedEx office and sign for the passports!!! Nov 17: We left the house at 4:30AM to pick up my parents who drove us to the airport for our 6:00AM flight to Atlanta where we camped out all day until our 5:30PM flight to Bogota (getting to watch the services live from Christian Challenge as we waited in the airport). We arrived around 11:00PM, went through immigration and customs and got to our hotel after midnight. Nov 18: It was a short night as we had to leave the hotel at 6:00AM for our flight to Armenia. Avianca ended up merging two flights together and we didn't leave until close to 11:00AM. We arrived around noon in Armenia and Magnolia Franco, our incredible guide and facilitator, was there waiting for us, after leaving her home town of Cali at 6:00AM also. Nov 19: We met with the interdisciplinary team at 2:00PM, consisting of the director of adoptions, the children's legal defender, the psychologist, social worker and nutritionist who have all worked on the children's case since they were admitted to child protective services nearly 4 years ago. We gained great insight into the children's past as well as their routines and current development. Nov 20: "Encuentro Day!" (Also known as "Gotcha Day!") Our emotions were through the roof as we prepared to meet the children for the first time at 11:00AM. They arrived all dressed up with little backpacks containing everything they owned and balloons (which were gifts for us). It was a joyful meeting, at first, but after a little while Karen began to cry, first a soft whimper and then a full-grown sobbing, heart-breaking cry. Anderson joined her shortly afterwards, probably more because of her crying than for anything he understood. The emotions of the day had caught up with them and the uncertainness of their future overwhelmed them as they realized they were leaving everything behind they had ever known. It was definitely unnerving, but the psychologist who knew them very well talked with them and helped them move to the car, promising things would be better. They were very withdrawn for the 20-30 minute ride to the secluded hotel in the countryside and began weeping again when we drove through the neighborhood they recognized as where their foster family lived. (We're thankful their last foster family was a good experience!) But once we got to the hotel where we had prepared a welcome party for them, things started getting better. They enjoyed their presents and their cake and finally began smiling. (The tricycle was a big hit!) Before the day was over things were really looking up and they were looking forward to their new life. There was still some hesitancy, as we were complete strangers to them. But you could tell they had been prepared for our arrival and that helped a lot. Nov 21-25: We tried to develop a normal routine with the kids, including making our beds in the morning, regular mealtimes, Bible reading, prayers and singing before bed, etc. We also had some outings to places like PANACA (an amusement park dedicated to promoting interaction with animals and agriculture) and Salento, one of the most beautiful areas of Colombia, reminding you of the European Alps. The hotel we were staying at, Mi Mónaco, was a former coffee plantation that had been converted to a bed and breakfast type facility and they had a playground and pool, which the children really enjoyed. It was a time of getting to know each other, learning boundaries and building relationships. Nov 26: We traveled into town in the morning to sign a power of attorney for our attorney to represent us before the court so that we didn't have to appear at every event. In the afternoon we met with the interdisciplinary team again for the final followup visit before the legal paperwork could be filed. They agreed to meet us at the hotel rather than having the children revisit the place where they had experienced the emotions of meeting us and the visit went exceptionally well. The team was amazed at how well the children were doing and how they were bonding to us. It ended with them giving their whole-hearted approval for the adoption. Nov 27: Our paperwork was filed and we packed up and headed to Cali. We had been told it would take 2-3 weeks before the paperwork was final and Cali had so much more to offer than the (relatively) small town of Armenia. Plus, we would be staying in an apartment rather than a hotel, which would give us more of a sense of family. So off we go! Nov 28-Dec 8: Here we are in Cali, enjoying this city of over 3,000,000 people and bonding as a family. The change to the apartment has been WONDERFUL! It is the best thing we could have done as we have a kitchen, livingroom (you don't realize how much you miss a couch until you don't have one! ), dining area, plus the children have their own bedroom and we even have a separate "time-out room" (which has been needed a lot for little Anderson!) While here we have visited the Cali Zoo, the "Christ the King" statue of Jesus (one of the 10 tallest in the world), visited the historic downtown, attended a "Día de las Velitas" traditional gathering in Magnolia's home and otherwise engaged ourselves in daily living. The children's favorite part of the stay here is the pool and the playground, where they are making friends with other children living in the apartment complex. This has been a wonderful time in our bonding journey and I'm grateful for this place. That brings us up to date. Right now we are waiting for the notification that the adoption is final and then I will travel by bus to Armenia to sign the "sentencia" (adoption decree), making it all legal. Afterwards we'll all fly to Bogota to start the final phase of our journey (medical exams, TB tests, ID cards and passports with their new names, US Embassy visits for final visa approval, etc). That should take about a week. We're hoping to get to go this coming week, which would mean that if we can change our flight back to the states, we could be home for Christmas!!! Has it been easy? No, it definitely hasn't. Providing 24-hour care for a 4 and 7 year old is tiring, especially for folks who are old enough to normally be enjoying grandchildren for awhile and then sending them home to their parents!!! Anderson's tantrums can be overwhelming and Karen is still processing things, causing her to be withdrawn at times. They have intense sibling rivalry going on and compete for our attention and affection, even though they don't have to. But in spite of all of this, we wouldn't trade it for anything in the world. I'm learning how much I'm like Anderson in my relationship with God ... demanding my way, shaking my fist at Him when I don't get my way and pouting when I get the consequences of my wrong actions, as if they were somehow God's fault! And I'm seeing in Karen all the signs of a broken generation that longs for meaning and value, hoping for a relationship with a Father, but pushing Him away at the same time, all the while secretly hoping He will pursue her, and being pleasantly surprised when He does. All along I knew that adoption would change my life. I just thought it would be more along the lines of freedoms I'd be missing out on or things I would have to give up. But in reality, it's caused me to slow down and enjoy these little blessings from God, reevaluating all the other "stuff" I've filled my life with. I've got another chance to be the dad and husband I wanted to be and I want to make the most of it. I'm also especially grateful for my church and family's support. Karen and Anderson absolutely LOVE the video-chats with their sisters, grandparents, aunt and cousins (and dog and cat!). And they have loved greeting the church and being hams when we Skype our greetings in on Sundays. They know they are loved and are looking forward to finally getting to the United States! (They ask me every day if it's today!) But let me warn you ... as much as we all thought we were in this to change their lives, I think they're going to change ours! Thank you for being on this journey with us! Can you believe two updates in a week?! I'm trying to be intentional about sharing on the blog and this is me following through on my commitment to myself! Where better to start than to update you on our adoption story ... especially since the last update on our adoption was almost a year ago! So here goes! There has actually been a pretty significant change in our adoption story. When I left you last, we had just submitted the paperwork for our first 15 month extension on the USCIS approval and were hoping to not have to do that again. We had met with the Mexican officials in Puebla the previous November and had been having some ongoing dialog with them via email. However, that excitement was short-lived as shortly into the new year they stopped responding to my emails. As month after month went by without any responses we reached out to our adoption agency, only to find that they were hitting the same walls. Phone calls were not returned, emails did not receive responses ... it's as if the Puebla adoption office had dropped off the face of the earth! Now in their defense, last year was a presidential election for Mexico and that's always a time of great turmoil with lots of turnover in governmental jobs, so we tried to be patient. 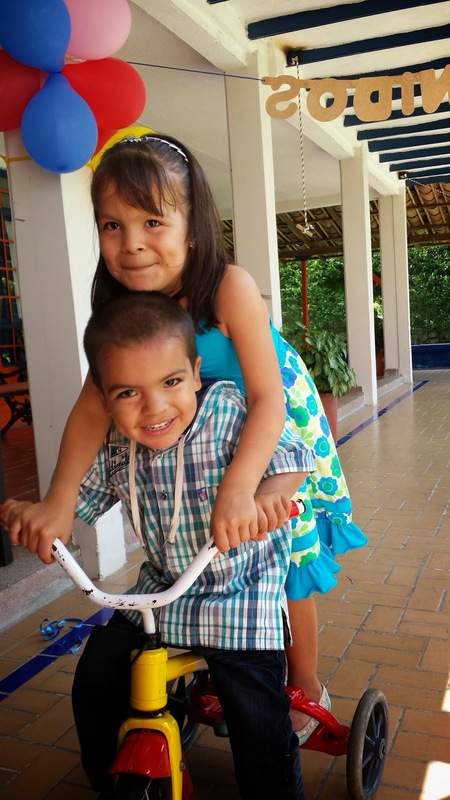 Our adoption agency also seemed to sense everyone's increasing concern and in September they contacted all of us in the Mexico program to share that they understood our frustration and offered to allow us to switch programs. They had recently begun working with the South American country of Colombia and had a list of children on the "waiting child" list that were cleared for adoption, with pictures! Lori was immediately drawn to a brother and sister on the list, but I thought we needed to stick it out with the Mexico program. But those sure were some cute kids!!! Another month rolled around with no contact from Mexico and Lori kept looking at the pictures of the cute brother and sister, feeling more drawn to them. I have to admit, they sure were cute! (Or did I already say that?! ) 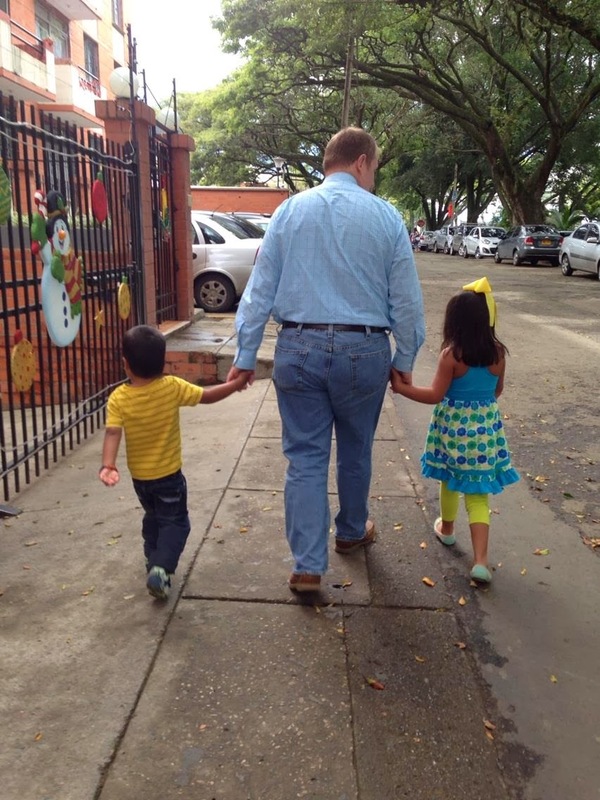 Late in October we decided to send an email to the Puebla office asking for an update and sharing that we had the opportunity to adopt two children from the "waiting child" list in Colombia. We explained that we were happy to wait on Mexico, as long as we knew the program was still ongoing. All we needed was to hear back from them just to give us some hope. We sent the email on October 25 and decided if we didn't hear back from them in 2 weeks, we would take that as a sign we should shift to the Colombia program. Two weeks came and went without a peep from Puebla so we decided to that was the Lord's direction for us. (And as of February 12, 2013, we still have not received an answer to our email ... almost FOUR months later!!!) So we wrote a "letter of intent" for our agency to forward on to Colombia to express that we desired to adopt the brother and sister! And then our journey to adopt began to speed up to hyperdrive! 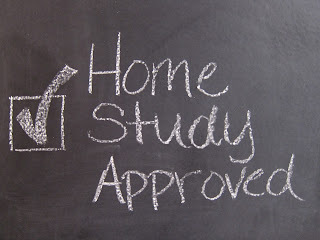 In order to make the change we had to update our homestudy (which would have had to have been updated for the next renewal anyhow) - and that included getting updated medical checkups, an updated psychological profile, updated financial status, updated background checks ... you get the picture! 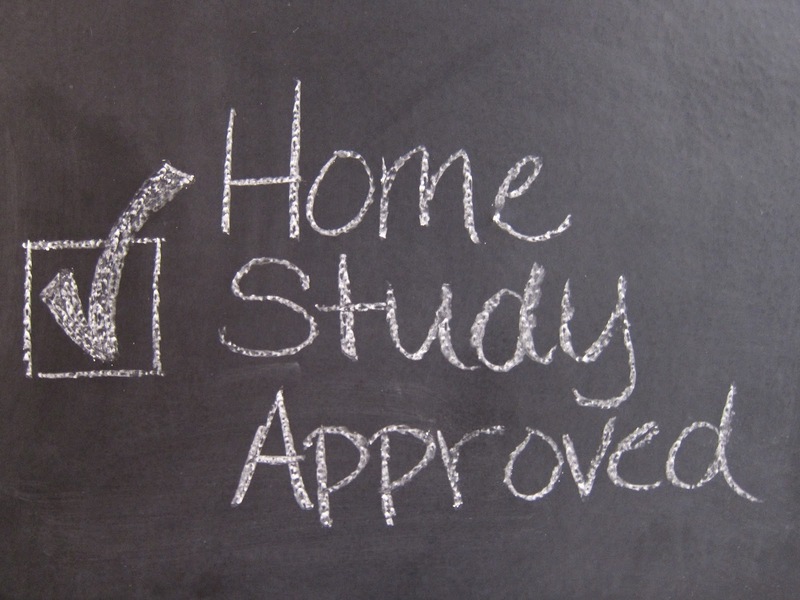 The big question was getting our homestudy to approve the change of countries, and, more importantly, the change of adopting TWO children instead of one. But the good news is that all the updates came through and the homestudy was approved, recommending us to adopt the two children!!! Our next step is to send all this info to USCIS to request an extension, change of country and number of intended adoptees. Once we have that approval, we'll have the entire packet translated and submitted to Colombia as the official application. We're told that because the children are on the "waiting child" list and are already approved to be adopted, that our application will be "fast-tracked" and we'll have an answer in 15 working days (although we've also been warned that it could stretch out a little bit due to different holidays, etc). Once we have the official "referral" from Colombia, we then resubmit the packet to USCIS for approval for these specific children ... AND THEN WE TRAVEL TO COLOMBIA!!! We don't have a specific time-frame for this, but it looks like it will be sometime during the summer! Yes, THIS summer!!! So Lori's really ramping up the house preparation, getting the room ready for two instead of one. She's put her massage therapy license on hold for this year to prepare for the kids and be able to devote her time exclusively to the children when they finally do arrive. And I'm doing a lot of self-examination about time management to make sure I'm ready to be the dad these beautiful children deserve. In looking back at our journey, it's been a long one. And it's not over yet. We first started seriously considering adoption after the Haiti earthquake back in January, 2010. Soon we realized that Haiti would not be adopting children out for a long time and we began looking at other countries, eventually settling on Mexico, and now finally adopting from Colombia. In looking back, we can see how the Lord directed us to this point. It's especially significant to us that the children we're adopting came into the program well after we began the process ... but became available to us just as we began to realize the Mexico program was not going to pan out. The Lord had positioned us and timed everything beautifully! I wish I could share pictures of the children or share more about them, but until things are final you'll just have to take my word that THESE KIDS ARE CUTE!!! :) Thanks for your prayers and encouragement along the way. And I'll keep you posted ... I promise! How many times can I say that it's been a long time since I posted anything? I think I've run out of excuses! So rather than offer an excuse, here's a new post ... in the form of a book recommendation for "Beyond Ordinary: When a Good Marriage Just Isn't Good Enough"! In the midst of all those articles there was one called "A Death in the Family" by a fellow named Matt Appling who I had never heard of before (which isn't saying much - you'd be surprised who I don't know!). I really enjoyed reading the article so I clicked on the author's name which took me to his blog (*insert standard disclaimer here about how I don't necessarily agree ... yadda, yadda, yadda... ;) and it just so happens that his most recent blog entry was entitled "Why I Don't Like Marriage Books (Except This One)" - well that instantly got my attention. As I read it I understood what he meant about how most marriage books are written from the idealistic point-of-view by people who have it all together and if you'll just follow their few steps, you'll have it all together too. I added a comment to his blog about liking Gary Chapman's "Five Love Languages" and Willard Harvey's "His Needs: Her Needs" and then I said I looked forward to reading the book. Let me tell you, I didn't know what I was getting myself into! After purchasing and downloading the Kindle version of the book I found myself pulled into the story as Justin and Trish Davis (of RefineUs Ministries) take turns walking the reader through their story from each one's point of view. This is no ivory tower marriage! They bravely lay bare the mistakes and failures they each made as their marriage began drifting towards the shoals that eventually destroyed it, bringing them to the decision of rebuilding it from the bottom up. I was stunned as I read things that I completely identified with - attitudes, excuses, selfishnesses ... they were all plainly there for me to see in my own life as I read page after page and encouraged my wife to read along with me. She, too, was caught up in the story and actually finished the book before me. We found ourselves talking about the parts of the story that we identified with, owning up to mistakes we had made, confessing areas that were revealed to us that we were still holding on to even after 25 years of marriage and ministry. It was so refreshing to have these conversations. And painful! But so healing!!! Even though we had not made all the same mistakes, there were many layers of issues that began to be peeled back in our conversations, and we're looking forward to even more great talks as we plan to re-read the book together and have recommended it to several friends.